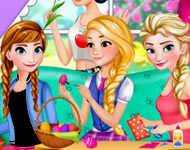 Queen Elsa is getting married today and she has her best friends by her side, join them in this new dress up game! 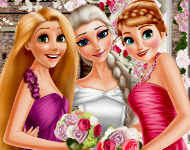 Rapunzel and Anna are going to be Elsa's bridesmaids. 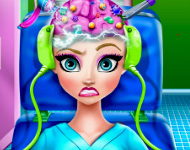 Let's make sure the princesses look perfect! Pick the most beautiful dresses and hairstyles for the two bridesmaids. When you're done with them, move to the next level.